We had ours six weeks ago, but I have often thought it must be good to have a holiday to slow down the advance of Christmas. We are already starting to have Christmas music in the stores. Heather was trying to stop me from making this hat for ages… ‘It is going to be DUMB, it is the WORST idea you have EVER had…’ She finally decided she wanted to model it so she could instagram a picture of it with ‘my mother has finally gone crazy’ as the caption. I assembled the bits then put it together. So far the pieces are only pinned into place because the base hat is too flimsy. I have decided to make a felted base so it will be more solid. I didn’t have time to finish it yet. I knitted the tail then crocheted it onto a cut and bent coat hanger. 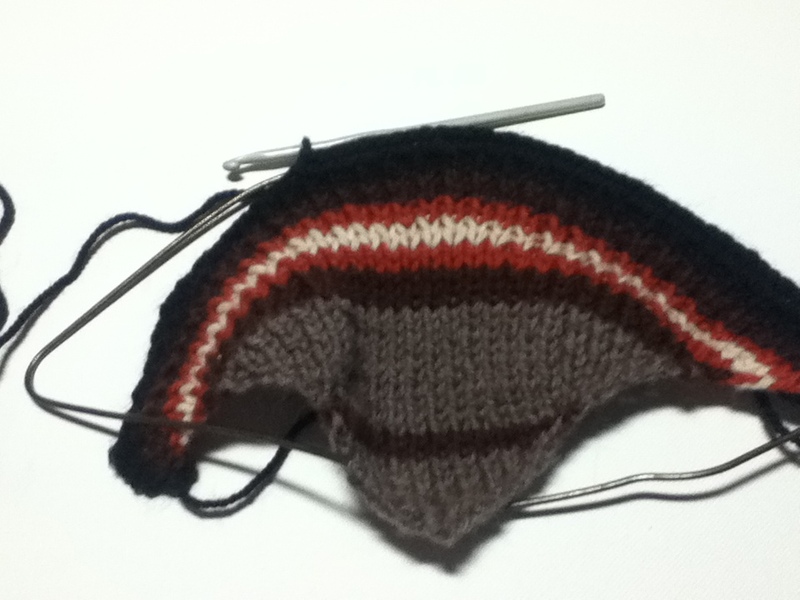 For the head, I started with 30 stitches for the base, then reduced to 15 for the neck. I increased to 22 stitches for the head. To turn the corner, I did 3 sets of 8 short rows across the back of the head which took me up and around. I finished the head with the beak, which was only 6 stitches. I then crocheted a waddle under the chin. For the wing, I made two wings then stuffed them with quilt batting and sewed them together. I will retake the picture of the finished hat when I have the felted base ready. 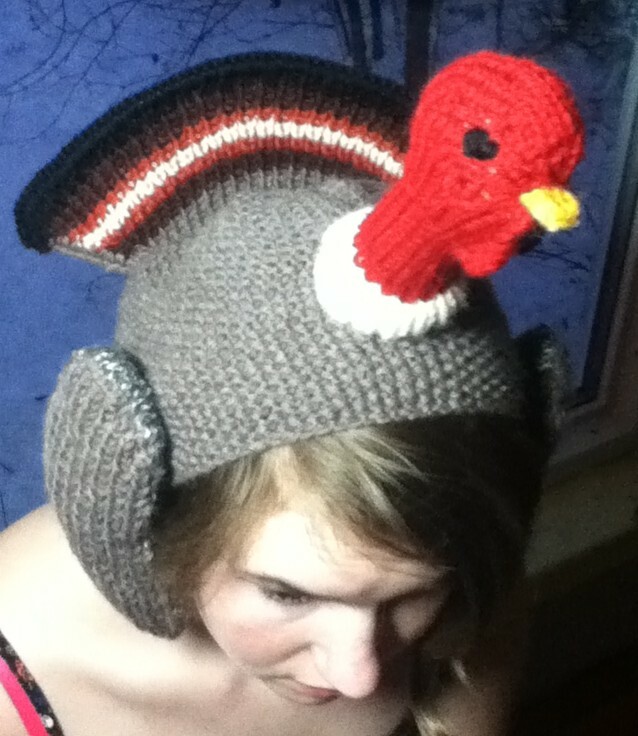 This entry was posted in sculptural and tagged hat, knitted hat, knitted turkey hat, knitting, Knitting and Crochet, Patons Classic Wool, Thanksgiving, turkey hat on November 28, 2013 by gillianknitter.